Pleasantville Music Festival. Join us on Saturday, July 14 for the 8th Annual Pleasantville Music Festival! Nationally recognized musicians as well as Hudson Valley and Tri-state area favorites, including The English Beat, Good Old War, Delta Spirit and Sloan Wainwright, will perform on 3-stages filling the air with music from Noon until 8:30 P.M. Check out the performer’s page for a full list and stage times. Forty vendors and exhibitors offer great food, beverages, tasty treats, crafts, public service information and more. A fantastic kids’ fun area, includes free face painting, games and “Miss Patty” Hupp playing their favorites. Westchester’s own Captain Lawrence Brewery and Pleasantville’s Prospero Winery pour their best in the Festival Garden. Visit www.pleasantvillemusicfestival.com. 75th Annual Strawberry Festival at The Church of St. Mary the Virgin, located at 191 S. Greeley Avenue, Chappaqua. Saturday, June 9, from 11am – 4pm. Funds raised go to support local charities. Strawberry shortcake ice cream, whipped cream, cotton candy, hotdogs, burgers, and more will be available throughout the day. Kids games, bouncy castle, face painting, and more fun for all. Vendors will be on site selling crafts, jewelry, clothes, etc. Live music. Fun for all! Benefit night at Ben and Jerry’s Mt Kisco. From 4 – 9pm on June 6th come to Ben & Jerry’s for music, balloon animals, and to support Hope’s Door women’s shelter. 25% of all proceeds will be donated to the shelter. Bring lightly used baby monitors, clocks, pots, and pans for shelter residents while you’re at it! Hope’s Door, formerly The Northern Westchester Shelter, is a private non-profit organization, which was founded in 1980 to provide a safe haven and caring services to survivors of domestic violence. Our mission: Hope’s Door seeks to end domestic violence and to empower victims to achieve safety, independence and healing from the trauma of abuse. For more information, visit www.northernwestchestershelter.org. 12th Annual Golfing for Kids. Join us on June 5, 2012 for our golf outing to benefit children with autism and other developmental disabilities served by Arc of Westchester’s Children’s School for Early Development. Your Day Of Golf Includes: Registration & Continental Breakfast, Shotgun Tee Time (lunch on course), Cocktails, Awards Dinner. Visit www.westchesterarc.org. Sing-A-Long & S’MORES. Calling all friends and neighbors…COME JOIN THE FUN! Thursday, June 21, 6:30 pm until 8:00pm, Shelter at the Katonah Memorial Park. Raindate: Saturday, June 23th at 6:30 pm. The Katonah Memorial Park Association is hosting the very popular “S’Mores Night” fundraising event on Thursday, June 23rd from 6:30 pm until 8:00 pm at the Katonah Memorial Park shelter. Musical entertainment featuring the Differents, a very talented local acoustic trio, will be performing inspired renditions from the 60s through the present. It will be a great evening of music for all ages! For information, please call KMPA President Anne Hanley at 232-8017. S’Mores making kits and cold drinks will be available for sale. 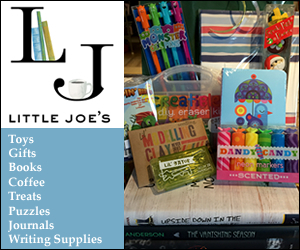 All proceeds will go towards the ongoing efforts to refurbish the Katonah shelter. Serendipity Horsing Around for Charity. June 17, 2012, 1pm to 5:30pm. Greenwich Polo Club, Conyers Farm, Greenwich, CT. Come celebrate Father’s Day with an afternoon of family fun! Delicious food, BBQ experts, live music, fabulous wines, microbrews, face-painters, kids’ activities, exclusive shopping and a musical performance by The Short Bus. Plus, a “Crazy Pants” competition. Show off your crazy pants to win prizes. Advance tickets $40, at the door $45 (children 12 and under are free). For more information or to buy tickets, go to www.serendipitysocial.com. All event proceeds will benefit Pegasus Therapeutic Riding. Pegasus is a nonprofit providing equine-assisted activities and therapies to more than 225 children and adults with physical, cognitive and emotional disabilities. Visit www.pegasustr.org. Oh, plus she’s “liked” some posts on facebook, shared my newsletter with her friends, and emailed me some nice notes about things she enjoys — like www.bedfordartsmusic.com and www.worldcupgymnastics.com. Doesn’t take much to get on my good side! If YOU think you’re the “in the know mom” give Jessica some competition! She’s definitely in the lead for the first place PRIZE of $250 — but there’s still room for others — and if you don’t make the top three — guess what? 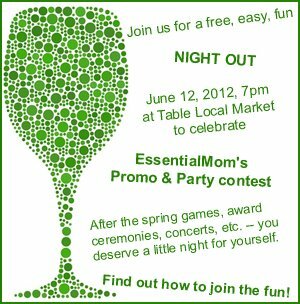 You still get to attend our ladies’ night out and enjoy a FREE wine and cheese party at Table Local Market. Don’t you deserve a fun night out after making it to all of your kids’ concerts, games, and field trips this month???? ?